Instagram changed the perception of people towards social media. With a platform that was intended to share visual content, it has now empowered artists from around the globe to share their artwork and showcase their talent to the world. Instagram has become a platform for cartoonists to release their work regularly and make it reach out to their audience. 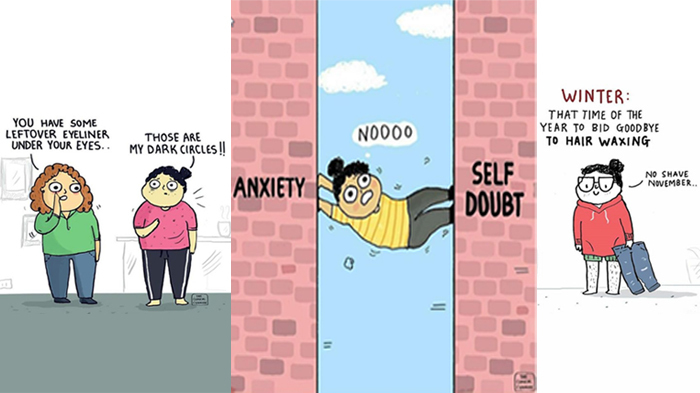 With various Instagram accounts open for users to scroll through and make their otherwise dull day fun and interesting, Green Humour, Metro Doodle, The Comic Calcyanide, Alicia Souza, Doodle Drama, Brown Paperbag Comics and many others are sharing some great work for the Instagram users. Green Humour comic artist Rohan Chakravarty thinks that Instagram brings in a wide variety of readers from different backgrounds to view an artist’s work. Chakravarty’s readers are from various professions like scientists, wildlife enthusiasts and artists. “With social media, my work has found readership among people from other vocations,” says he. 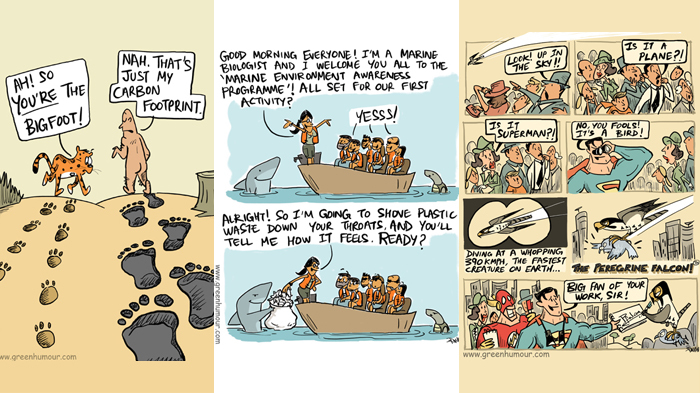 Green Humour comics revolve around natural factors like wildlife, conservation, wildlife biology, sustainability and climate change and currently has 0.0167 million followers. Chakravarty is not looking to invest any time or efforts to market his work right now; rather he is focusing on the quality of my cartoons and illustrations. Chakravarty’s comics shed a light upon the sad state of nature in a funny way, to make viewers feel the issue and relate to it. “A reader from Peru wrote to me that he refrained from buying a Pygmy Marmoset (the world’s smallest monkey) as a pet, after reading my comic strip on the species’ illegal trade,” Chakravarty said talking about the best comment he received for his comics. Instagram right now, is the best place for anyone to showcase whatever they want to. And, considering the number of people using Instagram today, there is nothing holding anyone back to put their work out there for people to see. 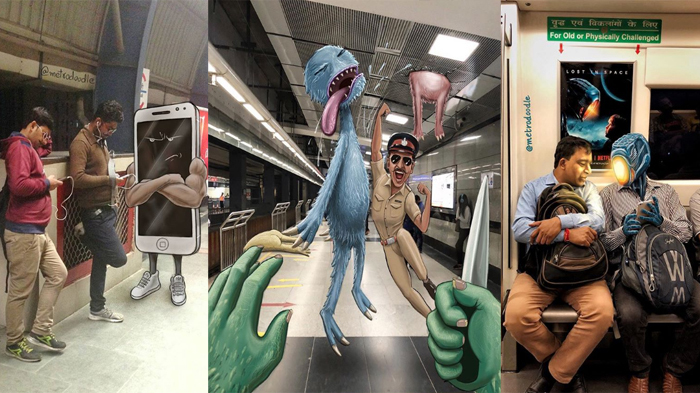 “I do not come from arts background, I would not have been called an artist if I wasn’t on Instagram,” said Metro Doodle comic artist Samar Khan. He feels that if whatever one creates is unique and quality content, one will make it big. MetroDoodle has close to 0.026 million followers which Khan have gained over a span of two years. What worked for Khan was the concept of his work that people could relate to so much – the metro! So many people travel daily in metro and it’s mostly the same people that helped it grow in the initial stage. His comic showcasing the angry mobile phone talks volumes. He captions it as: “Not cool bro, leave me alone!” stating the sad condition of humans with the overuse of mobile phones. Khan’s art comes from his deep interest in supernatural and unearthy things he has grown up watching and reading. The main motive while creating any art for MetroDoodle is to cheer up the viewers. “I try to include little humour whenever possible. The entire plot of the art revolves around making the post entertaining for people to consume,” says Khan. Sometimes, Khan’s doodles reflect on the experiences one might encounter while on the metro and is always fun to watch and enjoy. The Comic Calcyanide has around 0.023 million followers. Manasi Deshpande’s comics revolve around everyday things, people around her and mostly her life in general. The comics are more of positivity and also about mental health awareness. With responses and comments like this from the viewers, the platform is turning out useful for the person who gets inspired watching the comic and also the creator who gets motivation to do something good for the society he/she lives in. Khan feels that his work made his viewers smile or cheer up their day and he is never bored of his work because of the love he gets in return. This is what comics are for! Making people happy, reaching out to them and becoming a part of their surroundings. Instagram is indeed a boon for upcoming comic artists, to make them bigger, in the hearts of the many users who visit their profile every day, for a dose of happiness.